NOW FREE FOR MEMBERS. Presented by Nonprofit Connect and the Francis Family Foundation January 12, 2017. Vu Le spoke to TWO SOLD OUT crowds in Kansas City on January 12, 2017. Watch a recording of the full presentation here. With the numerous and complex challenges facing our communities, nonprofits -- both service providers and funders -- are more needed than ever. But as a sector, we face our own barriers to effectiveness, including society's perception of nonprofits, the overhead myth, expectations for sustainability, funding dynamics, bizsplaining, and board leadership that often leaves a lot to be desired. Demographics are changing, and the way that we have done things in the past may no longer be effective. To be successful in the future, we must examine the philosophies and implicit biases that drive nonprofit work, abandon outdated thinking and practices, own the power and influence of the sector, and collaborate to make the world better. Presenter Vu Le is the writer behind the popular blog, Nonprofit AF and executive director of Seattle-based nonprofit Rainier Valley Corps, which works to bring more leaders of color into nonprofit work. 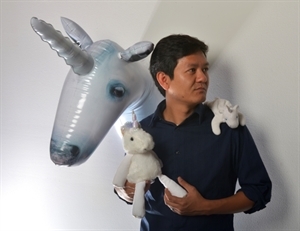 Known for his no-BS approach, warped sense of humor, and pictures of baby animals, Vu will have you laughing and thinking. Viewing of this video is applicable for 1.0 point in Category 1.B –Education of the CFRE International application for initial certification and/or recertification. Thank you to our generous sponsor.